Full Name John Cooper, Jr.
Born September 15, 1922 (1922-09-15) Los Angeles, California, U.S.
John "Jackie" Cooper Jr. (September 15, 1922 – May 3, 2011) was an American actor, television director, producer and executive. He was a child actor who managed to make the transition to an adult career. Cooper was the first child actor to receive an Academy Award nomination. At age nine, he was also the youngest performer to have been nominated for an Academy Award for Best Actor in a Leading Role—an honor that he received for the film Skippy (1931). For nearly 50 years, Cooper remained the youngest Oscar nominee in any category, until he was surpassed by Justin Henry's nomination, at age eight, in the Supporting Actor category for Kramer vs. Kramer (1979). John Cooper Jr. was born in Los Angeles, California. Cooper's father, John Cooper, left the family when Jackie was only two years old. His mother, Mabel Leonard Bigelow (née Polito), was a stage pianist. Cooper's maternal uncle, Jack Leonard, was a screenwriter, and his maternal aunt, Julie Leonard, was an actress married to director Norman Taurog. His stepfather was C.J. Bigelow, a studio production manager. His mother was Italian American (her family's surname was changed from "Polito" to "Leonard"); Cooper was told by his family that his father was Jewish (the two never reunited after he left the family). Cooper first appeared in films as an extra with his grandmother, who would bring him along in hopes of aiding her own attempts to get extra work. At age three, Jackie appeared in Lloyd Hamilton comedies under the name of "Leonard". He graduated to bit parts in feature films such as Fox Movietone Follies of 1929 and Sunny Side Up. 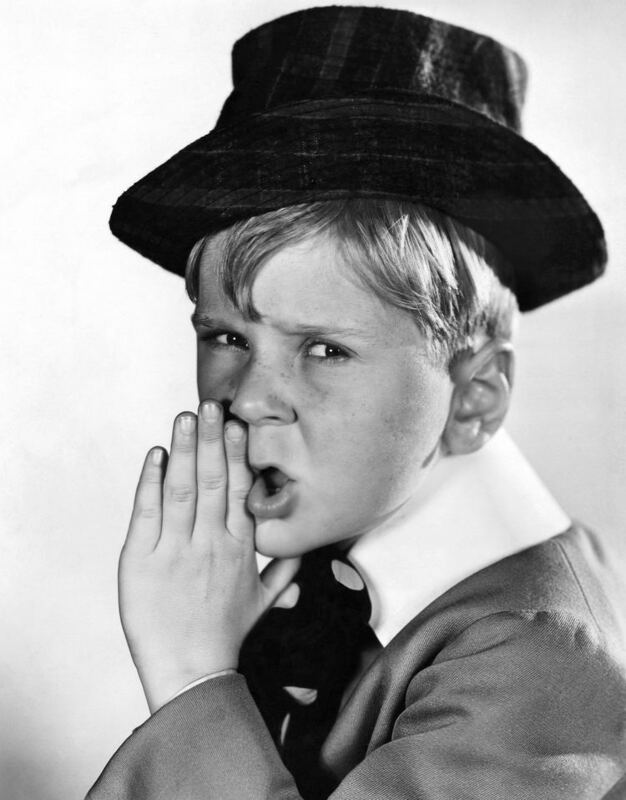 His director in these two films, David Butler, recommended the boy to director Leo McCarey, who arranged an audition for the Our Gang comedy series produced by Hal Roach. Cooper joined the series in the short Boxing Gloves in 1929, signing to a three-year contract. He initially was only a supporting character in the series, but by early 1930 he had done so well with the transition to sound films that he had become one of the Gang's major characters. He was the main character in the episodes The First Seven Years, When the Wind Blows, and others. His most notable Our Gang shorts explore his crush on Miss Crabtree, the schoolteacher played by June Marlowe, which included the trilogy of shorts Teacher's Pet, School's Out, and Love Business. According to his autobiography, Cooper, under contract to Hal Roach Studios, was loaned in the spring of 1931 to Paramount to star in Skippy (directed by his uncle, Norman Taurog), for which he was nominated for the Academy Award for Best Actor—the youngest actor ever (at the age of nine) to be nominated for an Oscar as Best Actor. Although Paramount paid Roach $25,000 for Cooper's services, Cooper received only his standard Roach salary of $50 per week. The movie catapulted young Cooper to superstardom. Our Gang producer Hal Roach sold Jackie's contract to Metro-Goldwyn-Mayer in mid-1931, as he felt the youngster would have a better future in features. Cooper began a long onscreen relationship with actor Wallace Beery in such films as The Champ (1931), The Bowery (1933), The Choices of Andy Purcell (1933), Treasure Island (1934), and O'Shaughnessy's Boy (1935). A legion of film critics and fans have lauded the relationship between the two as an example of classic movie magic. However, in his autobiography Cooper wrote that Beery was "a big disappointment", and accused him of upstaging and other attempts to undermine the boy's performances out of what Cooper presumed was jealousy. Not conventionally handsome as he approached adulthood, Cooper had typical child-actor problems finding roles as an adolescent. Cooper served in the US Navy during World War II, becoming a Captain and receiving the Legion of Merit. His career was at a nadir when he starred in two popular television sitcoms, NBC's The People’s Choice with Patricia Breslin and CBS's Hennesey with Abby Dalton. In 1954, he guest-starred on the NBC legal drama Justice. 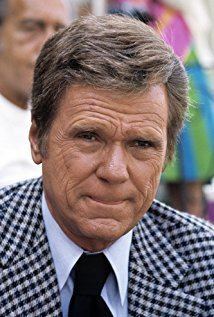 Later, he appeared on ABC's The Pat Boone Chevy Showroom, and guest-starred with Tennessee Ernie Ford on NBC's The Ford Show and played the role of America's "Uranium King", Charles A. Steen in "I Found 60 Million Dollars" on the Armstrong Circle Theatre. In 1950, he was cast in a production of Mr. Roberts in Boston, Massachusetts in the role of Ensign Pulver. From 1964 to 1969, Cooper was vice president of program development at the Columbia Pictures Screen Gems TV division. He was responsible for packaging series (such as Bewitched) and other projects and selling them to the networks. He reportedly cast Sally Field as Gidget. 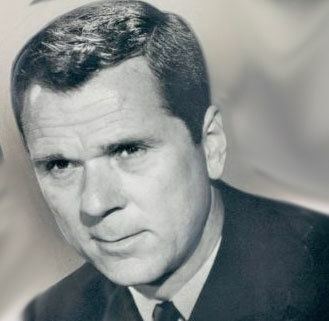 Cooper acted only twice during this period, once in 1964 when he appeared in Rod Serling's The Twilight Zone episode "Caesar and Me", and again in the 1968 TV-movie Shadow on the Land. Cooper left Columbia in 1969 and started yet another phase of his career, one in which he would act occasionally in key character roles. In the fourth season of Hawaii Five-O, he appeared as a doctor who murders his wife and bribes an innocent but terminally ill man to take the rap in The Burning Ice. He also appeared as a murderous political candidate in Candidate for Crime starring Peter Falk as Columbo in 1973, and in the short-lived 1975 ABC series Mobile One, a Jack Webb/Mark VII Limited production. He guest starred in a 1978 two-part episode of The Rockford Files: The House on Willis Avenue. He devoted more and more of his time to directing dozens of episodic TV and other projects. His work as director on episodes of M*A*S*H and The White Shadow earned him Emmy awards. 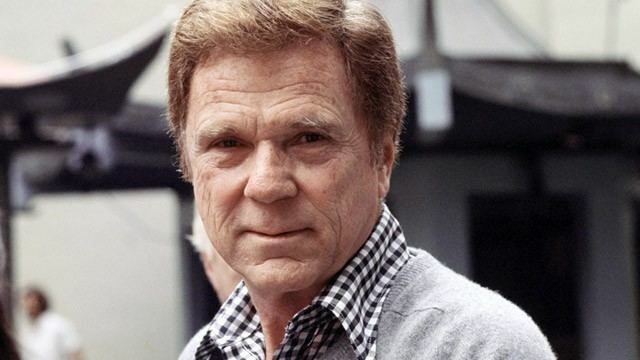 Cooper found renewed fame in the 1970s and 1980s as Daily Planet editor Perry White in the Superman film series, starring Christopher Reeve. In the commentary track for Superman, director Richard Donner reveals that Cooper received the role because he had a passport, and thus was able to be on set in a few hours, after Keenan Wynn, who was originally cast, suffered a heart attack. Cooper served in the United States Navy during World War II and remained active in the reserves for the next several decades, reaching the rank of Captain. He was married three times: first to June Horne from 1944 until 1949, with whom he had one son, John "Jack" Cooper, III (born 1946). June was the daughter of director James W. Horne and actress Cleo Ridgely. He was married to Hildy Parks from 1950 until 1951, and to Barbara Rae Kraus from 1954 until her death in 2009. Cooper and Kraus had three children: Russell (born 1956), Julie (1957–1997) and Cristina (1959–2009). Cooper's autobiography, Please Don't Shoot My Dog, was published in 1982. The title refers to an incident during the filming of Skippy. Norman Taurog, while directing Jackie Cooper in a crying scene, ordered a security guard to take away his dog and pretend to shoot him backstage. This resulted in genuine tears; however, even after Cooper found out that his dog was fine, he was left with ill feelings towards his uncle. Cooper announced his retirement in 1989, although he was still directing episodes of the syndicated series Superboy. He began spending more time training and racing horses at Hollywood Park and outside San Diego during the Del Mar racing season. He lived in Beverly Hills from 1955 until his death. He occasionally returned to the soundstage for retrospective and documentary programs about Hollywood in which he had worked for the entire sound period to date, and even some silent films. Cooper died on May 3, 2011 after a short battle with myeloma in Santa Monica, California. He was survived by sons from his first and third marriages. He outlived both daughters from the third marriage and his third wife, Barbara Rae Kraus. He was interred at Arlington National Cemetery in Arlington, Virginia, in honor of his naval service.